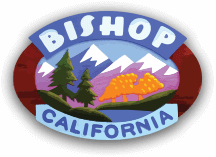 The answer is to be found up in the high Sierra. 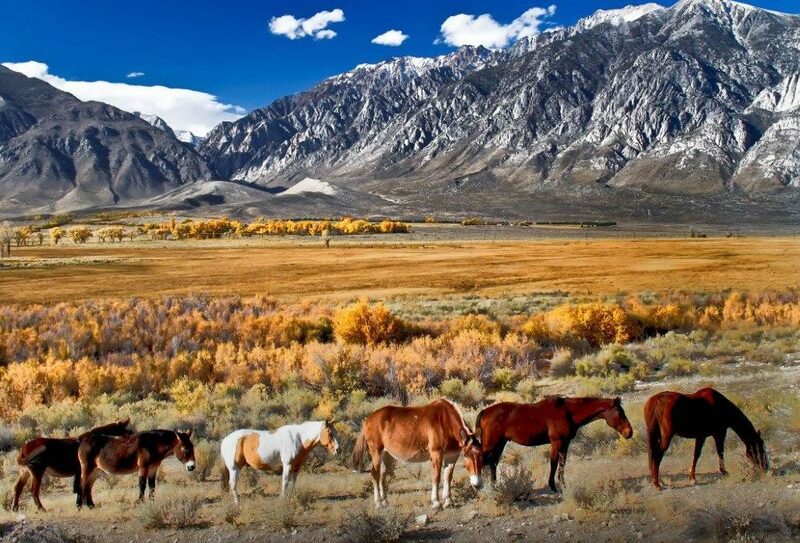 Aside from the privately owned mules and horses, the vast majority of equines you’ll see in the Owens Valley belong to the eastern Sierra Pack Outfits – locally owned businesses specializing in getting people and their gear into the backcountry for fishing and camping. Come summer time, those cute and friendly mules and horses you stopped to photograph are back at work. It isn’t a bad gig; the typical pack station equine “employee” works about 4 – 5 months out of the year. They work for room and board – but that room and board extends year-round, which is why you see them down in the valley after October. 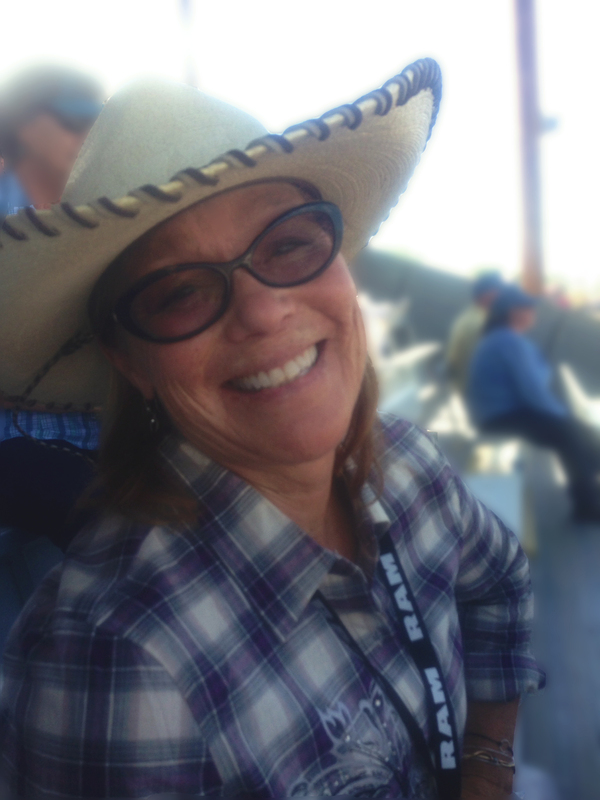 Horses and mules will be pastured together. You may be more familiar with horses but mules will quickly win you over, even if you are a little leery of their size and power at first. Mules have large gorgeous eyes with long lashes, and super soft big ears. Their muzzles are about the silkiest thing you’ll every lay a hand on, and you’ll soon learn they are playful, inquisitive, and intelligent. Mules have a very distinctive vocal call, and once you’ve heard a plaintive bray you’ll never forget it. Mules look a lot like horses, but there are some key differences, including their big ears. After a while you’ll be able to impress your friends with your ability to distinguish one from the other at a glance but for a primer to get you started, check out this blog post. Spend a little time watching them out in pasture and you’ll be able to pick out the clown or prankster of the herd – the one who’s always in everyone else’s hay or hair. 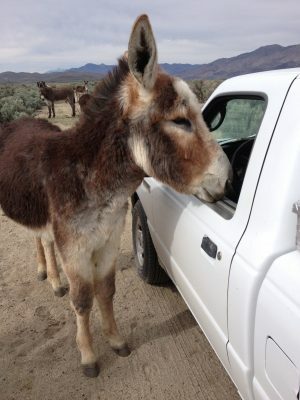 Mules are quite curious by nature, and will likely wander over to check you out. 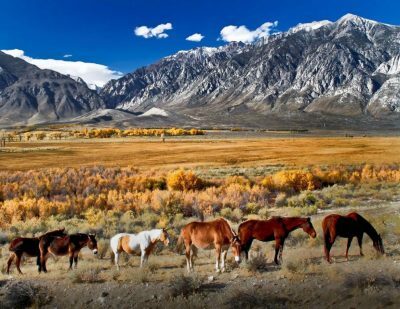 It’s fun to test your identification skills – how many horses and how many mules? Girls or boys? 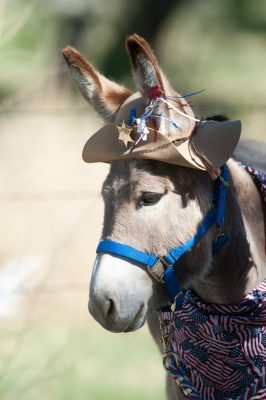 Any burros or donkeys? Equines are fed once or twice a day, and when they aren’t eating they do a stellar job of hanging out and lounging. Mid-day you’re likely to see several laying down soaking up the sun and snoozing while others stand watch. Good equine etiquette is to avoid feeding other people’s animals unless you are invited to. 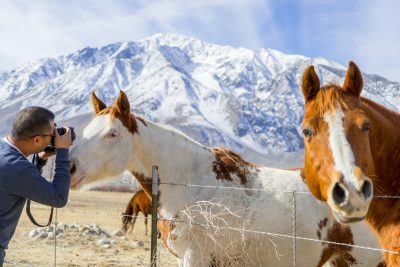 Despite their size and hardiness, mules and horses have fairly limited diets, and offering the wrong treats could result in illness. Additionally, your own fingers might be at risk! If an owner or wrangler is around don’t hesitate to ask for permission, especially if you have a stash of carrots or apples on hand, but also be prepared for a polite “no, thanks”. If you do get the okay, here’s a general rule to follow for safe feeding. Keep your fingers together, place the treat on the palm of your hand, stretch your hand tight, and offer your outstretched palm, letting the horse or mule take the treat from you. Be prepared for a tickle as their whiskers touch your skin! If you get the go-ahead to touch, a great place to start is on the neck. Rub firmly but gently. Some animals will move away, but some will stay and enjoy your touch. Just like people, some mules are more touchy-feely than others. 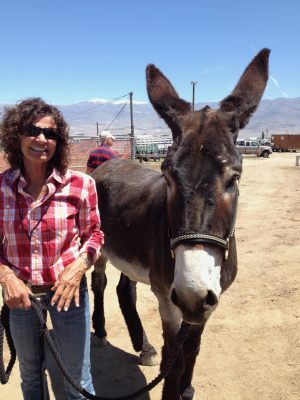 A friendly mule might move in a little closer for a little more petting – just watch your feet and fingers. Remember, mules weigh any where from 1000 pounds or more – getting a toe stepped on is going to hurt. 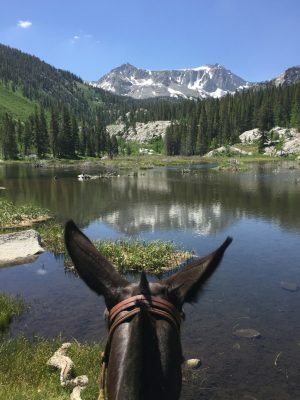 Another good rule to follow is to never walk behind a mule or horse; they have a blind spot directly behind them and may accidentally kick or startle. to get an insider’s glimpse into what you can expect to experience. The backcountry normally starts to open up in June, and pack trips generally are scheduled through September and even later, depending on the weather. 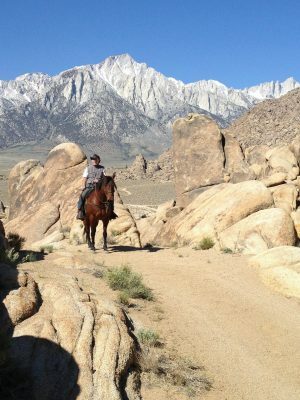 Some pack stations offer rides in the off-season, such as this one in the Alabama Hills led by McGee Creek Pack Outfit. 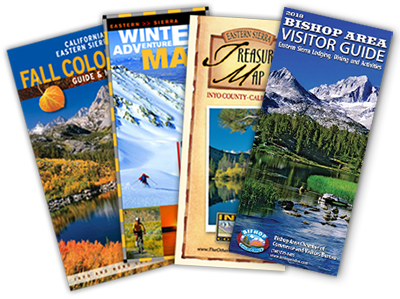 You can find a list of local pack stations here: http://www.easternsierrapackers.com/members.htm.